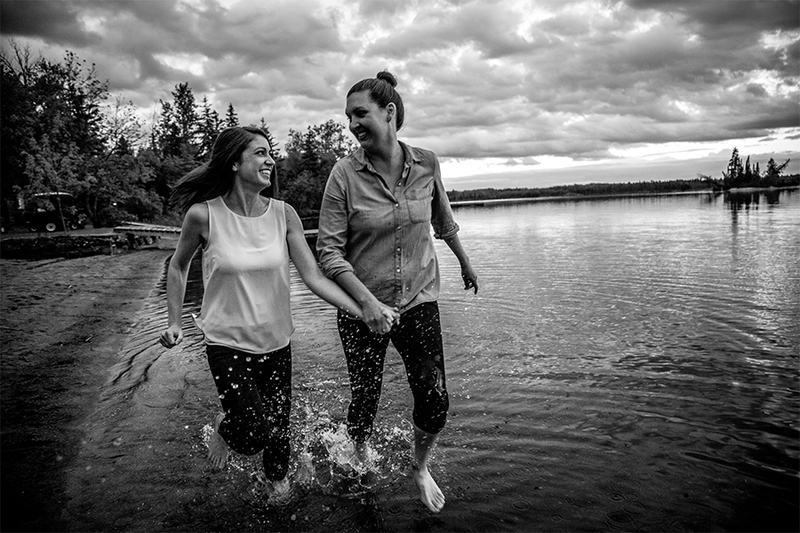 Big shout out and a “Thank you” to Kristine and Brooke for bringing me out to their happy place in the Whiteshell. I had a great time getting toured around, seeing some incredible spots and most importantly documenting the incredible engagement of these two wonderful people. The weather was all over the place. From bright and sunny, to a heavy downpour and to dreary grey cloudy. We are so happy that the shoot ended with an incredible sky exploding with colours at sunset. A fun little bonus for me; I now know for their wedding day shoot that if I tell Brooke to have a serious face, she cracks up laughing. Family and Friends are invited to click here to view all the photos.